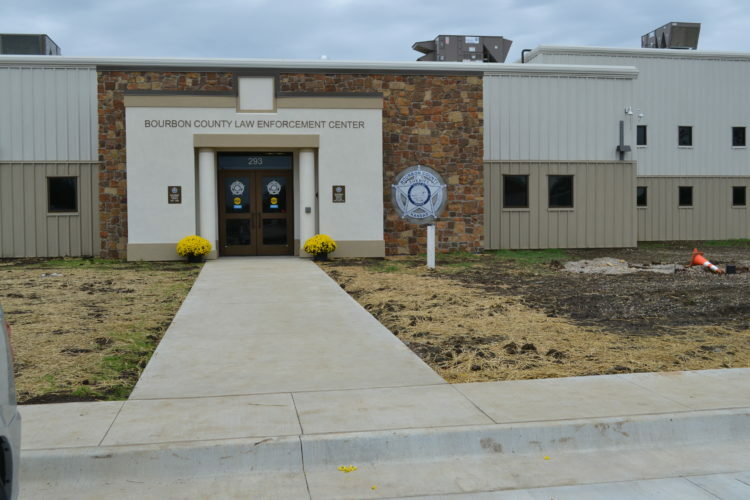 The public was allowed a viewing of the new Bourbon County Law Enforcement Center Thursday. 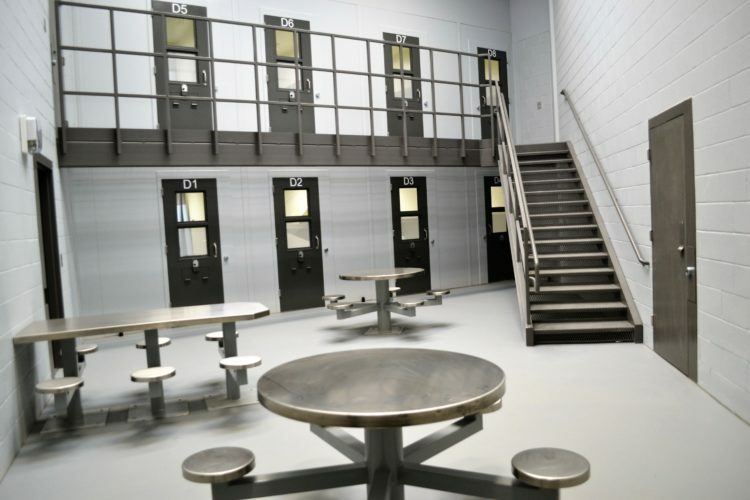 The project took one year to complete and will house 74 inmates. Residents, employees, and dignitaries mill around prior to the ribbon cutting at the new Bourbon County Law Enforcement Center Thursday afternoon. 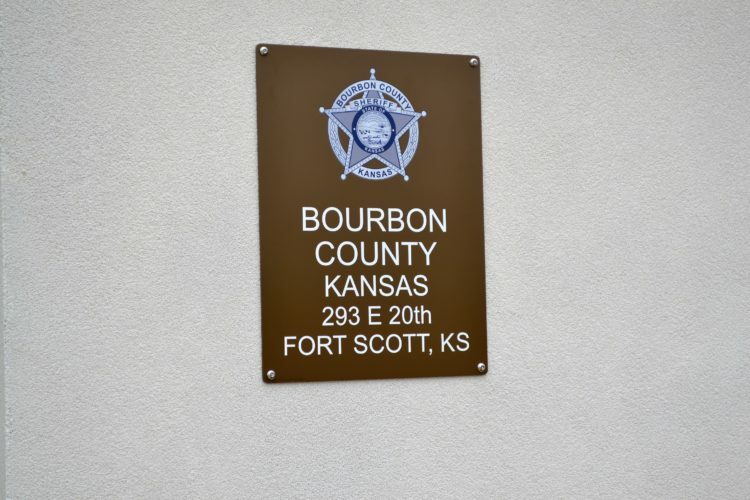 The project summary of the Bourbon County Law Enforcement Center was on display at the public viewing. 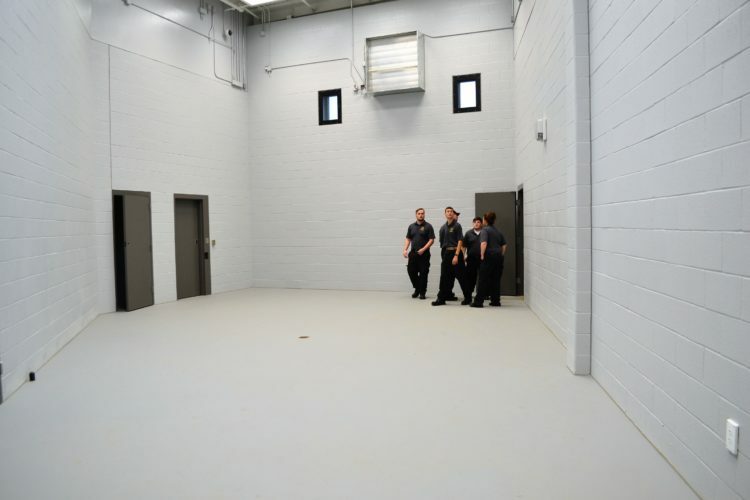 A pod for inmates at the new correctional center. 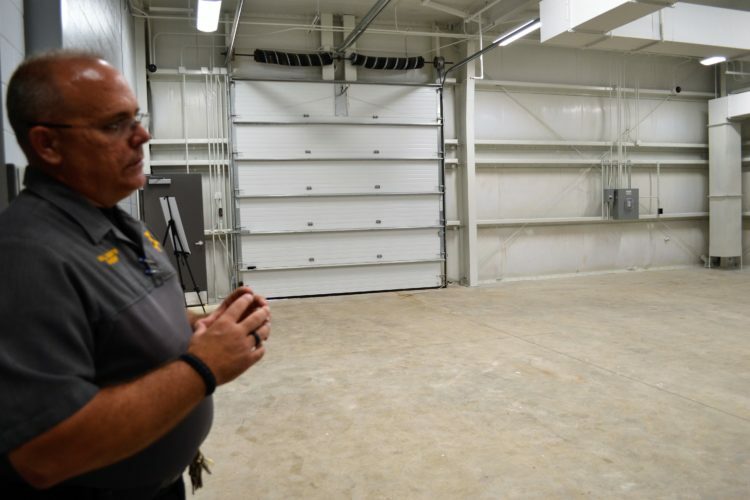 Inmates should be at the new facility by the second week of November, according to Sheriff Bill Martin. 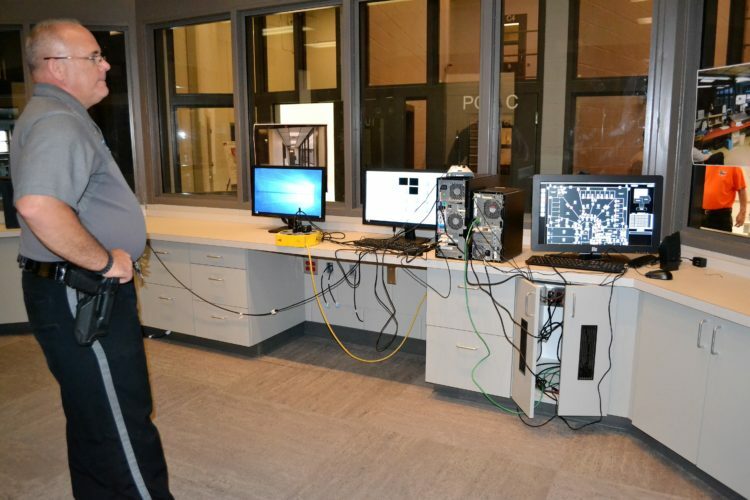 Sheriff Bill Martin shows the command center at the new law enforcement center during a tour Thursday afternoon. 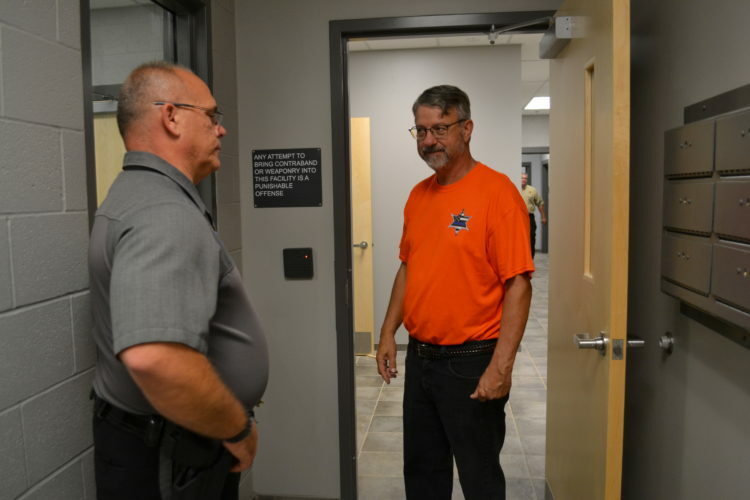 Corrections officers get a look at the inmate recreation area at the new center. Daylight and fresh air must be provided inmates daily. The huge fan at the top, center, will provide the air intake for the room. 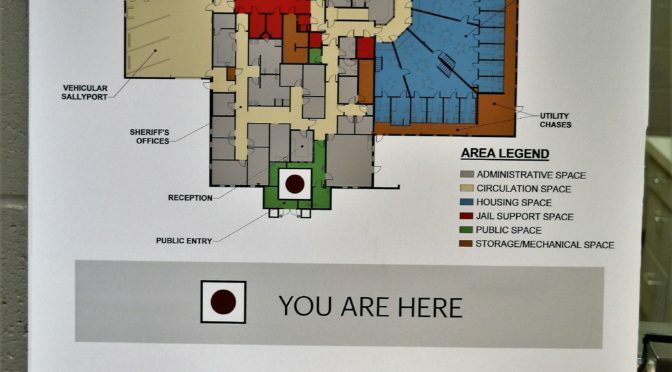 The sallyport area where inmates are brought by vehicle into the center is shown by Sheriff Bill Martin. At right, Steve Smith visits with Sheriff Bill Martin. Smith is the president of Universal Construction, the general contractor for the project. Sheriff Bill Martin shows a handicapped accessible pod with special safety features. 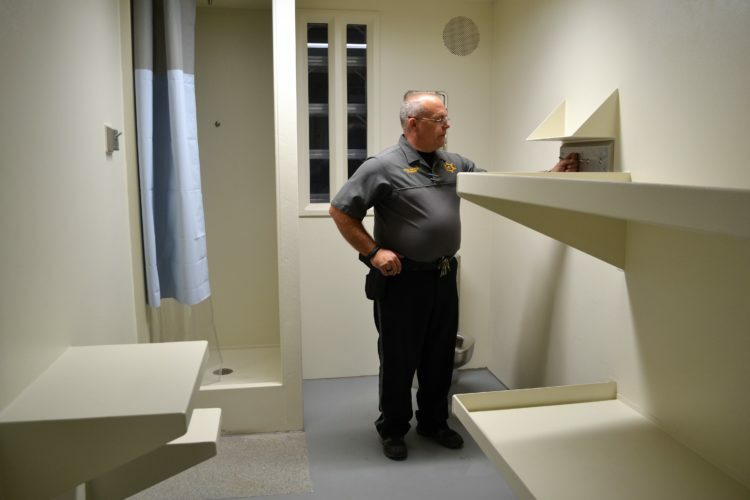 Sheriff Martin shows an honor pod, for model inmates who are allowed to work in the community with supervision. Model inmates will also prepare meals for the center with supervision, something not feasible at the old jail. 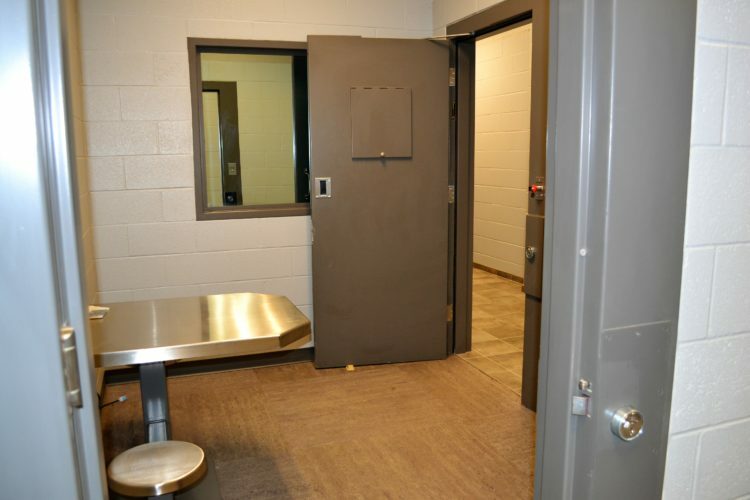 An interview room at the center for inmates and attorneys. 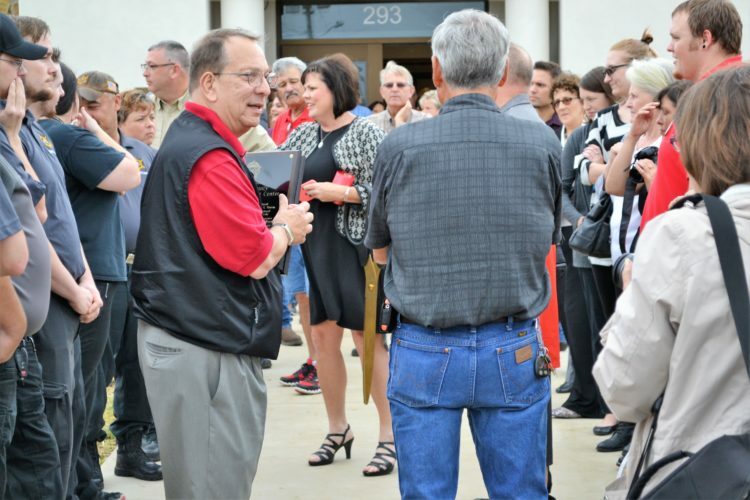 Employees, interested Bourbon County residents and dignitaries line the sidewalk in front of the center to prepare for the opening ceremony. The area surrounding the center is being seeded with grass, therefore there was no standing off the sides of the sidewalk. The address sign on the outside of the center at 293 E. 20th Street. It is located on the south side of Fort Scott. 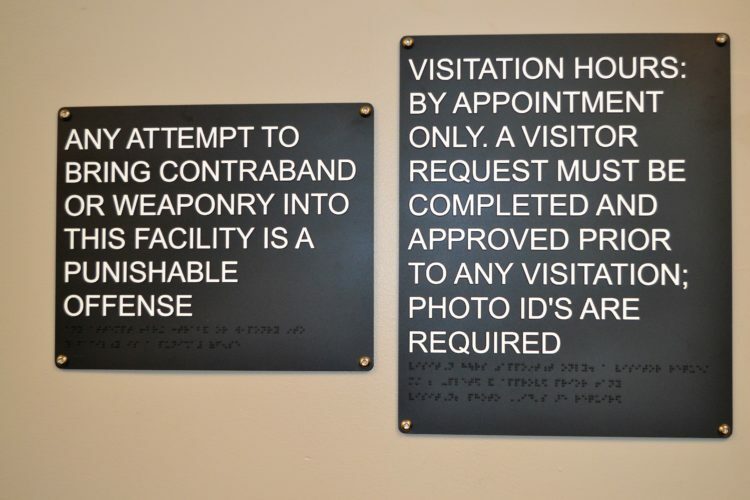 Signs upon entering the Bourbon County Law Enforcement Center. 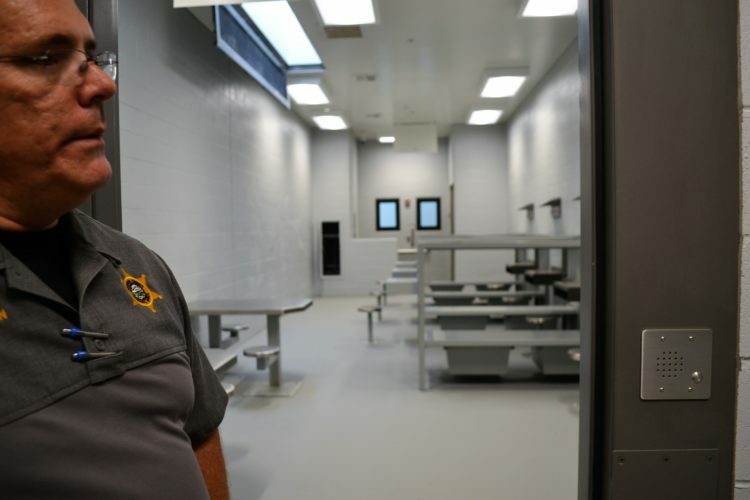 ” Inmates should be at the new facility by the second week of November, according to Sheriff Bill Martin” Middle of March now, how’s this working out? Who’s paying the bill for this empty building just sitting there? Who’s being held responsible for this financial disaster? 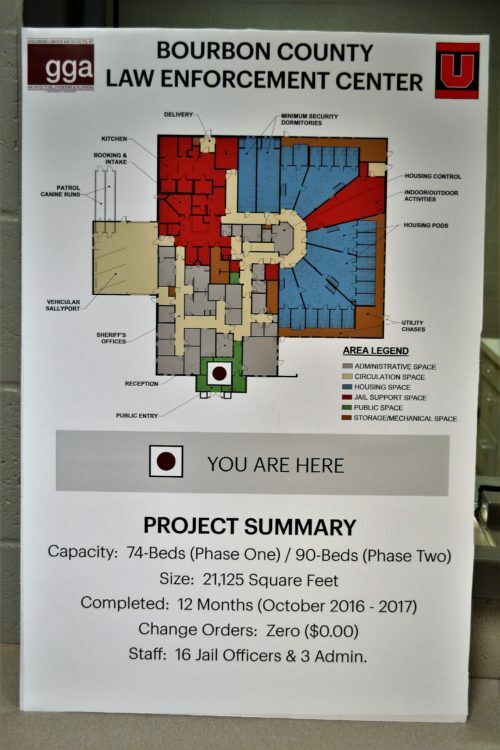 Another great idea where I’m sure a few pockets got well lined and the taxpayers left scratching their heads…….Maybe we can use the building as a homeless shelter or maybe some more low-income housing.